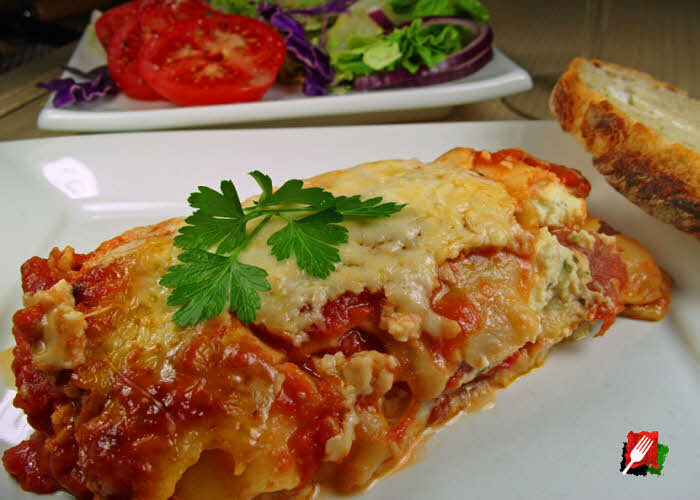 This is the best lasagna recipe you will find. Its incredible depth of flavor comes from using a rich homemade marinara, the finest fresh cheeses, and fresh homemade pasta. Absolutely delicious! In a large bowl add 2 cups of ricotta, 1/2 cup of shredded mozzarella, 1/4 cup of fresh Italian parsley, and 1 egg. Mix with a spoon. 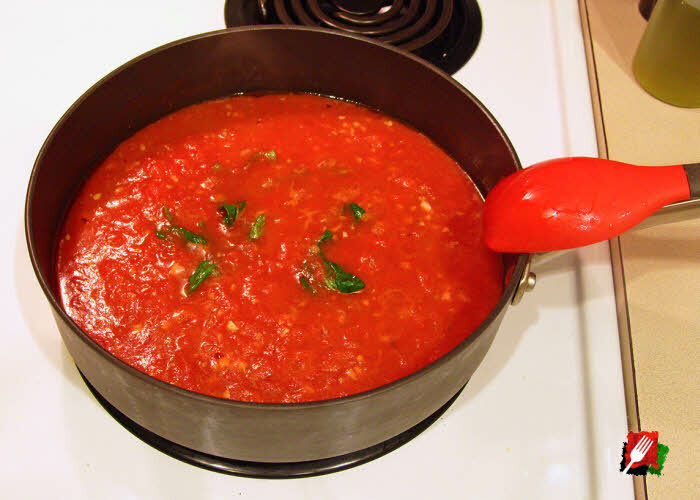 In a 9″x5″x3″-high oven-safe glass pan, start by adding a thin layer of marinara sauce on the bottom, then add the uncooked pasta layer, drizzle olive oil on the pasta, marinara sauce over the pasta, ricotta mixture over the sauce, sprinkle some of the shredded mozzarella and Parmigiano over the ricotta mixture. 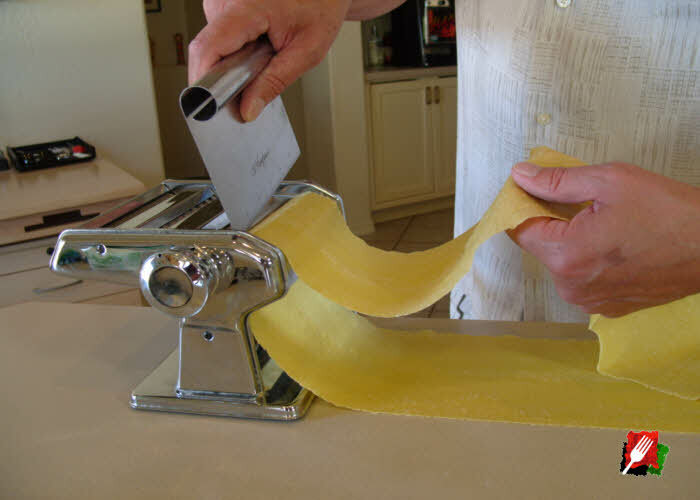 Note: If the pasta doesn’t fit the sides of the pan for each layer, depending on if you are using fresh or dry pasta, simply break or cut the pasta to fit. If there are any pasta voids, just fill in with leftover pasta pieces for full coverage of each layer. Repeat for about 3 pasta layers to within a 1/2 inch from the top of the pan to prevent lasagna from boiling over in the oven. The last (top) layer should be pasta topped with drizzled olive oil, marinara sauce, then sprinkled with some shredded mozzarella and Parmigiano. 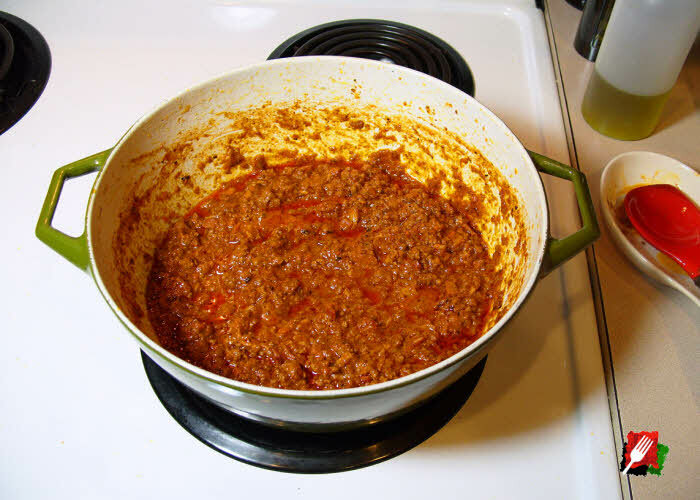 When assembling the layers with cooked dry pasta, the marinara sauce should be kept to a minimum or the lasagna will be runny. The exception is if you don’t precook the pasta, additional sauce is required to absorb in the pasta as it bakes. Reserve some extra sauce for serving. Preheat oven to 375 degrees. Cover the pan with aluminum foil then place a baking sheet under the pan to catch any boil over. Bake for 30 minutes or until the lasagna is bubbling hot and heated through. Remove the foil and continue to brown top for another 10 minutes or until done. Garnish each serving with loose cut fresh parsley.